So far I have shared our Portal Cake, and Pokeball Rice Krispie Treats, today I will be sharing more about our Skyrim Sweet Rolls and Minecraft Marshmallows. I honestly do not really know much about Skyrim other than it is a role playing adventure game set in a fictional land with feuding groups and dragon slaying. 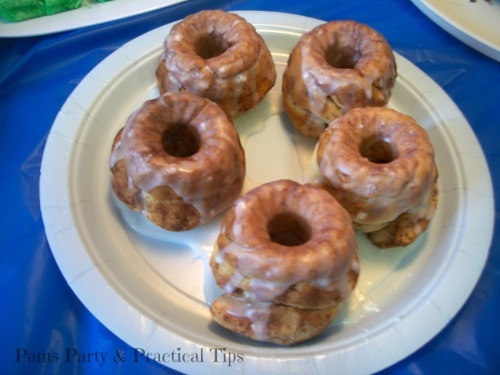 A popular treat found in several locations in the game is a special sweet roll. Once again there is an "official" recipe that has a lot of ingredients to make it from scratch that can be found online. While I am sure that the recipe is very good, I knew there was a faster way to make sweet rolls that I knew my son would love. I bought a mini bundt pan at JoAnns with a 50% off coupon, so the price was very reasonable. I also know I will use it again. 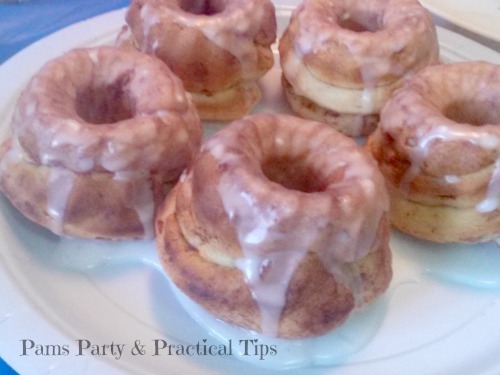 A mini bundt pan is perfect to make these rolls because they rolls in the game have a hole in the middle. Instead of making my own dough, I opened a tube of cinnamon rolls. Each pre-cut roll fit perfectly inside one of the mini bundt cups. I baked the rolls for the amount of time on the tube. In hindsight, I wish I would have baked them a few minutes less, because they came out a little more done than I would have liked. It did not matter though because they still tasted good, and Kyle loved them. I thought about using the icing the came in the tube, but I did not think it was going to be enough. I decided to make my own with some powdered sugar and a little bit of milk. The sweet rolls in the game have a thick white covering of icing. My icing did look white but it was a little thin, causing it to drip off of the rolls. You can see in the picture how it puddled a bit the rolls. Again, Kyle did not see this as a problem. Within 24 hours all of the rolls were gone, and I know he had at least half of them. Thinking about having your own video game party? Here are a few fun things I found that you might be interested in. These candy tins would be fun for almost any video game themed party. Is anyone else addicted to this game? I can't stop playing it.. This would be a fun theme for a party.. Hmmm.. Maybe I can talk my daughter into this theme for her summer party. My son wants one of these. I think I know what I will put in his stocking next year! Thanks Mel! I agree, I thought they were really cool too. I might have to get them to use for my son next year.. I am sure he will still really be into video games. My son will really like them too. I plan on getting him some for next time. 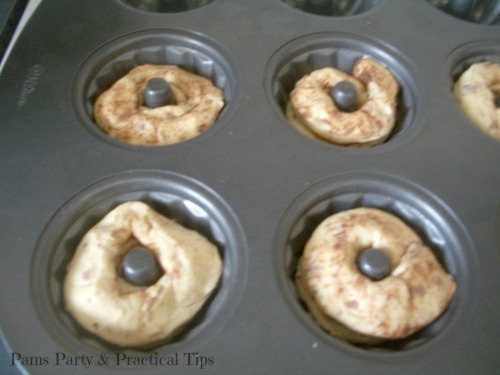 Those are fantastic and how clever to use the cinnamon rolls! Even though he doesn't play Skyrim, y 9 year old would love these at a gaming party.